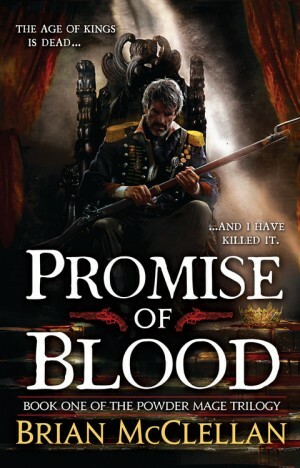 You can still download Brian McClellan's Promise of Blood, the first volume in The Powder Mage trilogy, for only 1.99$ here. 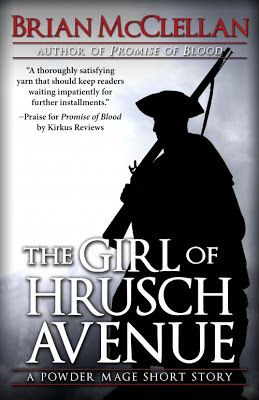 You can still download a Powder Mage short story, "The Girl of Hrusch Avenue," by Brian McClellan for only 0.99$ here. “The Girl of Hrusch Avenue” is the story of an orphan named Vlora that lives at a boarding school as a ward of the state. Even at her young age, she already has enemies: the Bulldog Twins, Baron Fendamere, and her own headmistress. When a strange man offers to buy her, Vlora runs away and takes to the roofs above the gunsmithies of Hrusch Avenue. It is there that she meets a boy named Taniel and begins a friendship that will change her life forever. 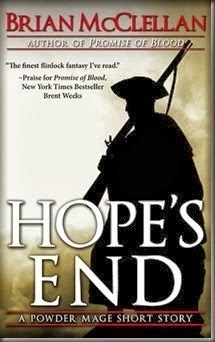 You can also download another Powder Mage short story, "Hope's End," by Brian McClellan for only 0.99$ here. George R. R. Martin contest winner! What Lesser-Known Books Deserve More Attention? George R. R. Martin: "I will not share Westeros."